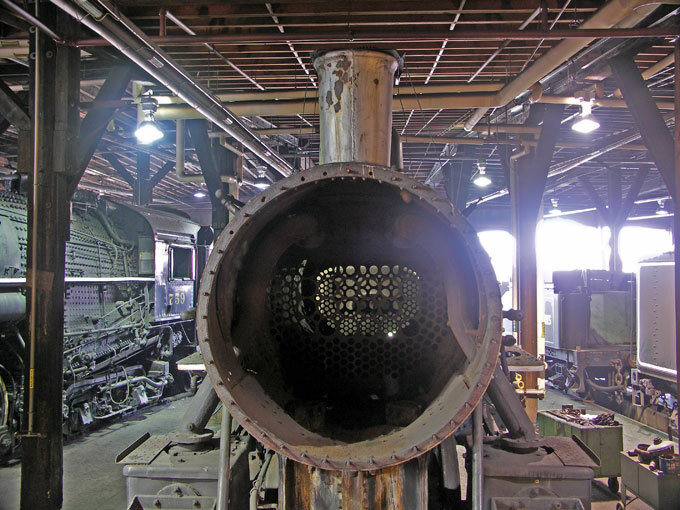 Operable locomotives as well as locomotives in assorted state of repair are housed inside the Steamtown NHS roundhouse in Scranton, Pennsylvania. Canadian National Railways No. 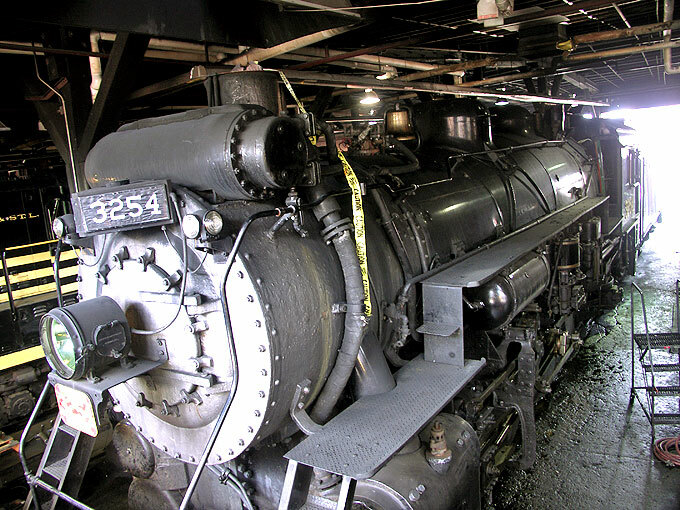 3254 sits in a stall at the roundhouse at Steamtown National Historic Site in Scranton, Pennsylvania - August 2006.